Even though the economy is in constant flux, there’s still plenty of opportunity for smart investors to make a profit. The 100 Best Stocks to Buy in 2019 shows you how to protect your money with stock picks that have consistently beaten the S&P average. In easy-to-understand and highly practicable language, authors Peter Sander and Scott Bobo clearly explain their value-investing philosophy, as well as offer low-volatility investing tips and how to find stocks that consistently perform and pay dividends. 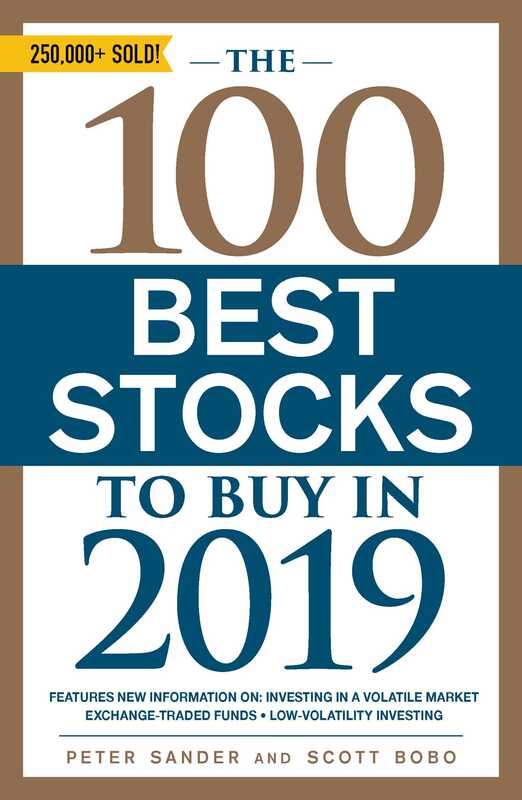 An essential guide for anyone investing in today’s stock market, The 100 Best Stocks to Buy in 2019 is a proven source of solid, dependable advice you can take to the bank. Peter Sander is an author, researcher, and consultant in the fields of business, location reference, and personal finance. He has written more than forty books, including Value Investing for Dummies, Personal Finance for Entrepreneurs, and 101 Things Everyone Should Know About Economics. The author of numerous articles dealing with investment strategies, he is also the coauthor of the top-selling The 100 Best Stocks You Can Buy series. Scott Bobo specializes in trend and investment analysis in the consumer electronics, personal computer, and semiconductor industries. Scott served as lead researcher for the 2011 and 2012 editions of the 100 Best Stocks series and as coauthor for the 2013–17 editions. He operates Red Wrench, a personal technology and investment consulting firm.